Through his hard shell construction and passive ventilation system is robust and affordable Clutch is the first choice for riders who want cool style at a fair price. The Model is a revised hard shell, scores with a reduced weight (540g) and an even cleaner look. The entire interior of the helmet is padded and thus provides not only for warmth, but also for comfort. For nätige hygiene is also ensured, since the lining is removable and washable so. What makes this helmet is the audio system that is integrated into the ear pads! The EPS core of the helmet has several vents and ducts. The ventilation channels are fed through the ventilation holes and cause the air at the back of the head over to the outside again. The result is a simple and minimalist helmet design, combined with a powerful ventilation system that ensures the whole head for a comfortable temperature. 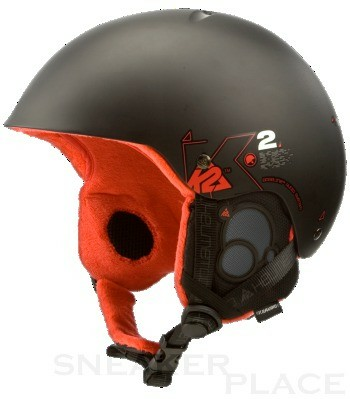 The hard shell construction is a standard design for a robust and reliable helmet. It consists of a tough ABS plastic outer shell, which is associated with an EPS core. The inside of the helmet, the EPS core is made of lightweight polystyrene and is protected by the outer shell dents and dings. This system for sizing of helmets offers maximum comfort and adjustability. The built-in helmet K2dialed Fit System has an ergonomic three-point-contact surface and allows an individual adjustment to different head shapes and goggle sizes. The result is a helmet that sits so well, as it were custom made. Available from Moxie, Crossfire, Rival, Clutch, Shadow, Indy, Edge and Edge Jr. This helmet is the BaselineTM integrated audio system, which is barely visible, but still effective! Simply connect your MP3 player and off you go! The speakers are built in ear flaps and can easily around the velcro off and reinstalled. This standard applies to minimum requirements for the functional suitability and safety.